Patreon Marketing Events is a host of exceptional ability. Studies show that a vast majority of guests attending events by Patreon have been known to leave more elated than visitors to Santa's Workshop, The Lost of Continent of Atlantis, and the Fountain of Youth. ➔ Create truly compelling Patreon content & benefit tiers that speak to the unique and evolving interests of your fans and mediums. ➔ Learn and adopt strategies for coping with the mental and physical demands of being a full-time creator so that you can continue following your passions long-term. ➔ Develop tactics for building financial independence, retirement planning, alternative monetization streams, healthcare and hiring a support workforce. ➔ Connect and collaborate with industry experts one-on-one while developing lifelong bonds that will help take your creative business to the next level. Patreon uses venues which are accessible and ADA compliant. Venues have clearly marked aisles (at least 3.5ft wide), service elevators, ramps, and venue wayfinding that highlights accessible routes. We also provide reserved seating for attendees with mobility issues and/or mobility devices. Service animals are welcome. Please contact us if you have specific accessibility needs that we have not addressed at [email protected]. We offer hand sanitizer stations in our restrooms and through our venues. We offer sanitary products and toiletries (including sunscreen, makeup remover, cotton pads, dental floss, and deodorants) in all our restrooms. A first aid kit will be available for the duration of the event at our registration desk. Smoking is not permitted in any of our venues. PatreCon offers gender pronoun stickers at registration. We encourage all attendees to use these stickers stating their pronouns. Where possible, PatreCon offers gender neutral restrooms. Where our venues have designated gendered restrooms, we display signage recommending that attendees should use whichever restroom they feel most comfortable with. 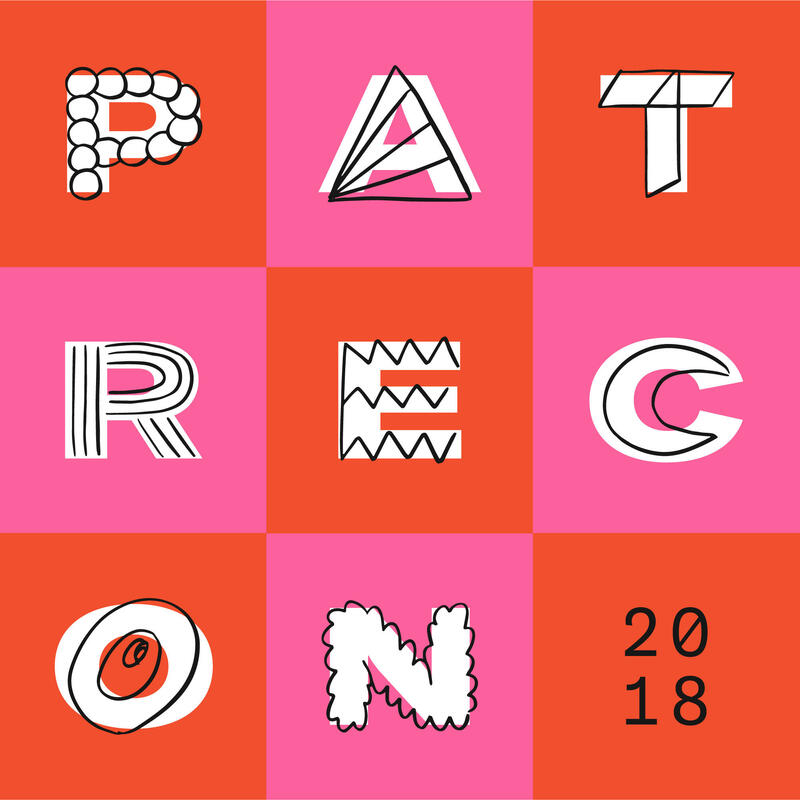 PatreCon offers a curated menu of water, non-alcoholic sodas, juices, coffee and tea (including decaf) free of charge throughout the event. Our opening reception and closing party will feature a hosted beer, wine, and cocktail bar. We ask our attendees to drink responsibly. Alcohol consumption is not an excuse for violating our Code of Conduct. Our conference is dedicated to providing a harassment-free conference experience for everyone, regardless of gender, gender identity and expression, age, sexual orientation, disability, physical appearance, body size, race, ethnicity, religion (or lack thereof), or technology choices. We do not tolerate harassment of conference participants in any form. Conference participants violating these rules may be sanctioned or expelled from the conference without a refund at the discretion of the conference. Special thanks to the folks at XOXO for their wonderful inclusion policy used as a guideline to shape our own.